Le Comptoir Du Bois offers its clients direct access to the best Polish sawmills. Deliveries are made by full trucks directly from Poland.*. 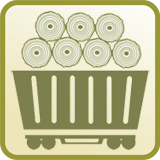 Deliveries by Full Trucks.Direct from the Sawmills in Poland. Our Lead time times vary according to whether the goods ordered are in stock at the sawmills in Poland, and whether or not it is necessary that the goods are produced to order. Generally, it takes two weeks time for goods that are in stock, and up to a six week period for goods produced to order. We suggest a delivery period on a case by case basis, for each request made. This delivery period proposal is distinctly based on the shipments that we will send to our customers in order for the clients to obtain their purchases (cf : Tutorial – How to order). Taking into account the wishes of our customers, we strive to shorten the delivery period as much as possible and be as flexible as possible, despite logistical constraints related to direct imports of wood from Poland. We also make a point to ensure compliance with our client’s deadlines and ensure the proper execution of the order, until the goods are received by our customers. Customers are kept informed at each stage of the production and delivery process, and can contact us at any time to verify and confirm information. Tell us all the necessary information in order for us to properly execute your deliveries. Follow the production and delivery of your orders. • Click on “Send” – our team will respond as soon as possible. Gain valuable business through quick responsiveness and unparalleled competitiveness !